What do you do when you’re homesick for some Singapore food, but you can’t really cook, mum’s nowhere nearby, or there’s no hawker centre you can shuffle to in your shorts and flip-flops? Adopting the loving authority and voice of one who’s accustomed to creating friendly recipes for those who are simply clueless or just rather lazy about cooking, Denise Fletcher, a proud-born-and-bred Singaporean, devotes her culinary experience to creating a companionable book for all the Singapore food favourites that you and your friends or colleagues may crave. Recognising that you may not easily obtain ‘authentic’ ingredients if you’re based overseas where you are, Denise also suggests food substitutions to help you approximate that taste for home. 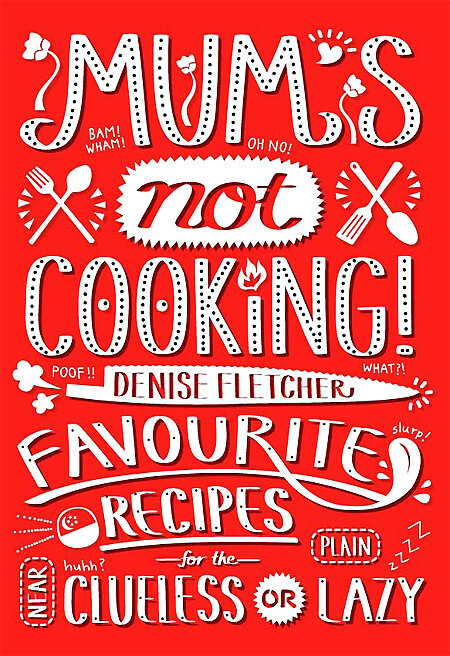 Thumb through this book and search for a recipe that will comfort you! 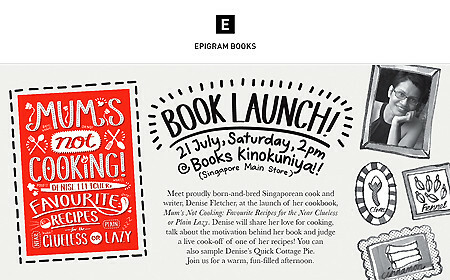 The official book launch will be held on Saturday, 21 July 2012, 2-3pm @ Books Kinokuniya, Ngee Ann City.